As the major league playoffs are in full swing, in a week so will the Arizona Fall League. Play opens on Tuesday and you can follow all the latest happenings in the AFL here. The Mariners announced yesterday that Danny Hultzen underwent surgery on his left shoulder performed by Dr. James Andrews in Pensacola, FL. The surgery cleaned up the labrum and a partial tear of the rotator cuff, and repaired the capsule. Danny Hultzen during the 2012 season. The good news is that hopefully this will fix things for good. He’s honestly been snake bit with injuries since he left Jackson in June of 2012. In fact, let’s look back and see just how dominant he was during his first three months as a pro. Hultzen went 8-3 in 13 starts and posted a league-best 1.19 ERA in 75.1 innings at the SL All-Star break, including 79 strikeouts. One can say those numbers came in a pitcher friendly Southern League, but he out-performed guys like Patrick Corbin (ARI), Trevor Bauer (ARI), Tyler Skaggs (ARI), Tyler Thornburg (MIL) and Nate Eovaldi (MIA) over that stretch. 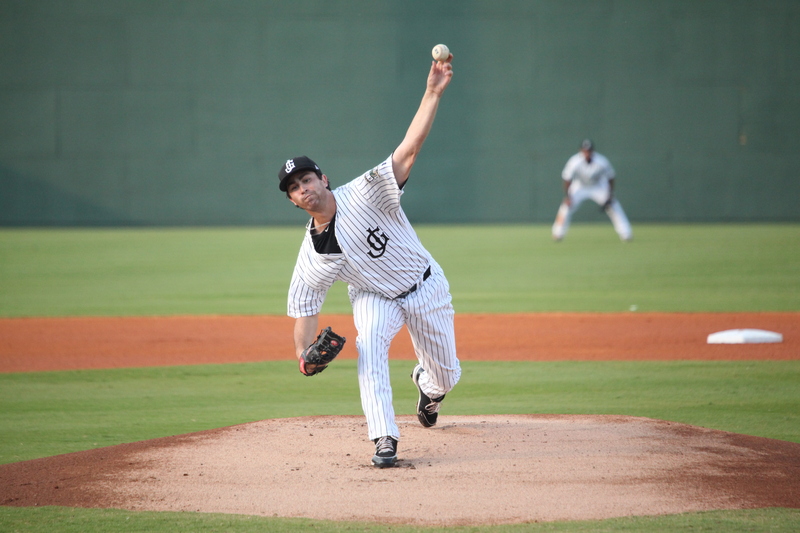 Kyle Hunter fires a pitch during a game in Jackson this season. Kyle Hunter replaces Hultzen on the Peoria Javelinas roster and is a left-handed pitcher to keep a close eye on. Hunter was Seattle’s 31st round pick in the 2011 draft out of Kansas St. and had a breakout season in 2013. In three professional seasons he is 11-8 with a 2.28 ERA in 101 games and five starts. He was arguably the most consistent pitcher on Jackson’s staff this past year going 3-0 with a 1.40 ERA in 34 games and four starts. He commands four pitches for strikes including an impressive two seamer. Scouts rave about his stuff and could potentially be a starter. 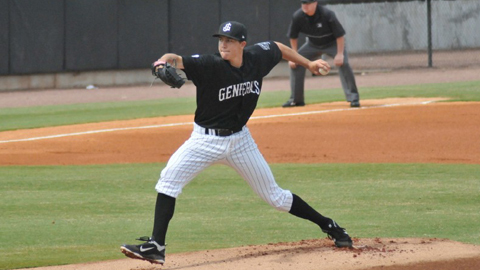 Hunter joins 2013 Generals pitchers Carson Smith and Dominic Leone on the Javelinas roster. Jackson manager Jim Pankovits will lead Peoria and he told me the team’s first workout will be Thursday. Beginning October 18th, every Friday and Saturday night leading up to Halloween the ballpark in Jackson will be a “Haunted Stadium”. The Generals are partnering with North Side High School in Jackson and funds will go toward their athletics and ROTC programs. Many of the volunteers will be from North Side. Gates will open at 7 p.m. and close I’m told “when everyone is scared”. The path will take you through the suites, clubhouse and around the outside of the outfield wall. It’s creepy enough just walking into those places in the dark anyway, much less when something is going to be jumping out at you. Admission will be $12 for adults and $10 for students. 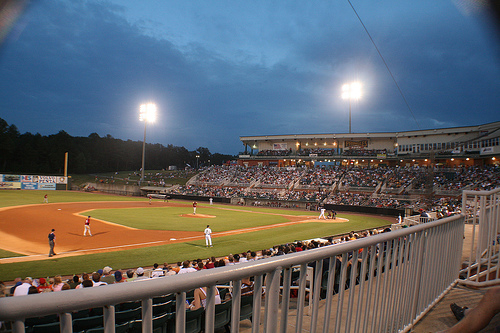 For more info you can call the ballpark at 988-5299.